Law enforcement agencies and government prosecutors have vast resources available to them, and without proper protection for an individual who has been accused, a government entity is most likely looking at a favorable outcome. When the government charges you with a crime, you need someone who is experienced and aggressive. Our team includes former prosecutors and defense attorneys who bring substantial trial experience and real-world insight to your case. In the area of criminal defense, we provide a host of services ranging from the defense of traffic citations to felony indictments – and everything in between. Whether you’ve been charged with Drug Possession, DUI or a failure to pay an occupational tax to a local government, we’re prepared to assist you. 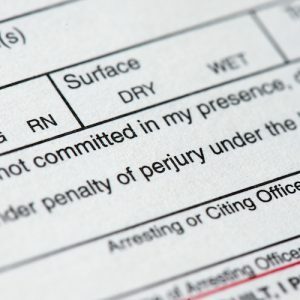 Traffic tickets can often result in an unpleasant experience. Whether you have been cited for Speeding or with Failing to Have Proper Insurance, our attorneys will provide you with aggressive representation to achieve the best possible outcome. We routinely assist clients with a range of traffic-related matters in district courts across the Commonwealth. We are sometimes able to do this without requiring you to appear in court. Under Kentucky law, misdemeanors are criminal offenses that carry potential fines, court costs and up to 12 months of jail as punishment. Examples include DUIs, marijuana possession and writing a bad check. Our team of attorneys includes former prosecutors and public defenders who are highly experienced in litigating criminal cases. When you have been charged with a misdemeanor, we will put our knowledge and experience to work for you. Under Kentucky law, felony offenses carry potential fines, court costs and at least 1 year in prison as punishment. Examples include robbery, possession of controlled substances and assault. Our attorneys are experienced in defending these claims and can also assist with petitions for expunging eligible felony convictions. Recent changes in Kentucky law have made it possible for a greater number of persons to seek this relief. DUI offenses are aggressively prosecuted and deserve an aggressive defense. Our attorneys are well-versed in Kentucky’s Implied Consent law and routinely assist those charged with DUI offenses in Kentucky courts. A DUI conviction can often have significant personal and professional consequences. We stand ready to assist when you have been charged with this crime.